Drew Pomeranz picked a bad night to be mediocre. 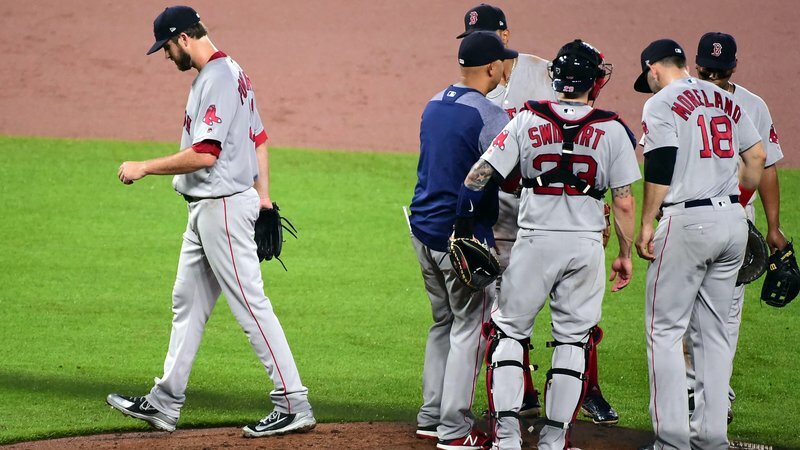 Despite four home runs and three runs late in the game, the Red Sox fell to the Orioles 7-6 in Baltimore Tuesday night. Pomeranz (pictured) went just 4.2 innings, allowing four runs on six hits and a pair of walks. He gave up two home runs including a two-run shot to Tim Beckham in the bottom of the fifth inning that turned a 3-2 Red Sox lead into a 4-3 deficit. Blake Swihart, Mookie Betts, and J.D. Martinez (2) each went deep for Boston in the loss. 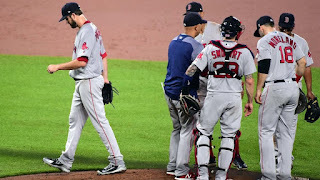 Of particular concern was the performance by Joe Kelly who allowed three runs to score while only recording two outs.